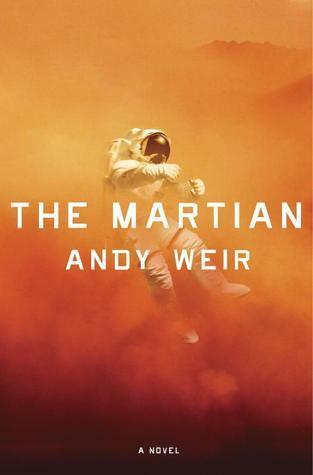 This is a fast-paced, compelling adventure story about astronaut Mark Watney who is left behind on Mars, presumed dead, with no hope of rescue. I have been craving an amazing sci-fi, space novel for months now and Andy Weir did not disappoint with his debut novel. It’s an insanely well-researched, impossibly funny story that has you rooting for Mark from the very first sentence. From the moment he wakes up alone with his crew gone, to his possible rescue attempt, you can’t help but grow to love Mark with his quirky and hilarious internal dialogue. The Martian is written in diary format, as Mark documents his survival story on Mars. Mark logs his days to share what he has to face and fix throughout that sol on Mars. The diary-like effect really made you get to know and connect with Watney right away, and he was instantly a new favourite character of mine. This book is very technical, something you should be aware of before diving into it, however it is exactly what I felt like reading. The fact that it was so science-oriented really added to the authentic feeling that this book already had. Plus, Mark’s daily logs really explained all the overwhelming science facts in a humorous way that made you not feel totally out of the loop. I found myself easily invested in seeing Mark survive and reading the many challenges he had to face on Mars. We also get to learn how NASA are dealing with the situation back on earth. This portion of the book really captivated me as well. Seeing how the world reacted to Mark’s survival and the public outcry and panic as people realise there is little they can do to help really added to the drama of this story, and made it feel like an authentic Mars disaster story. I really, really loved this book. Overall it’s an incredibly engrossing read that grabs your attention from the very first sentence. I found myself laughing out loud at some points, but also biting my fingernails in suspense to find out if Mark would survive and make it back to Earth. It’s certainly one of the best sci-fi books I have read to date and it’s a story well worth checking out – even if you’re afraid of all the hype surrounding this book. I’m extremely excited for the movie that’s due out in October, as I feel it will translate perfectly onto screen.